For the last deadline of Erasmus Plus 2017, we prepared 2 applications: one youth exchange and a training course. Also, our Italian partner: OES HUB, asked us to provide support in finding partners for a training course. Please, check the resumes and if you are interested, just let us know. Rroma HeART is a youth exchange which aims to develop solidarity and promote tolerance towards minorities, particularly with Rroma. During the exchange, the youth will experience non-formal art methods as dance-theater, clay workshop, forum theater etc. and in the same time, they will work to create new methods which will be tested during a big cultural event dedicated to Rroma culture, organized by youth, in rural area. One of the outputs of this event will be the design of a creative Rroma village, which will underline the beauty of the Rroma culture all over Europe. During 8 days of exchange, the participants will discover Rroma culture, will visit and work in Rroma villages and will experience the "nomad lifestyle", all of these, with the purpose to learn how to promote the tolerance, the intercultural learning and the nonformal education. The participants will share and learn more about European citizenship and social integration through arts. The project will be organized at the end of June 2018, in different villages of Iaşi county. The project main activity is a capacity building event, involving youth workers from Europe, which are using in their work, visual arts like photography and video. The program will gather theoretical knowledge on non-formal education through visual arts, technical expertise and practice on video and photography, team building and collective work methods, project management and organization of cultural events, tools of communication, dissemination and follow-up. At the end of the mobility will result the first chapter of the Atlas of Youth Work, focused on visual arts, and will be planned the next mobilities and projects in order to explore other topics and to create an innovative atlas of tools for youth organisations. Training course will gather 30 participants from 7 countries, which will exchange best practices, develop expertise and network on non-formal education through visual arts. - To develop further activities in the youth work, exploiting the results got during the training and disseminating them further to their peers and communities. - To develop a common understanding between participants and organizations, and to support innovative project. - To realize a document of best practices in the field of non formal education through the practice of visual art at the end of the event. - are able to work in English. 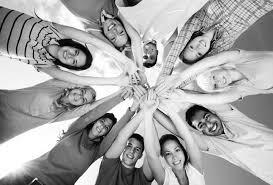 Boost your NGO is a training course involving 5 partners from 5 countries. The course will be held from May 2018, in Milano, Italy. The project aims to develop entrepreneurial competences among 30 young people interested to develop their own youth organizations through social entrepreneurship initiatives. During eight days, young people will participate in several activities, presentations, discussions, exercises, workshops, study visiats in order to share best practices on how to develop an organization with limited resources. Participants will have the opportunity to develop skills and competencies through non-formal education and practice. The young people involved will be supported to develop new projects for the sending organization and reflect on personal development projects as social entrepreneurs.